Richard Stearns currently serves as the President of World Vision U.S. Since the beginning of his presidency in 1998, Stearns has built a strong leadership team focused on bringing corporate best practices to the non-profit sector. Donations tripled during his first decade as president, making World Vision U.S. a billion-dollar organization. Stearns is the second of two children of working-class parents in Syracuse, New York. He worked his way through Cornell University, earning a bachelor’s degree in neurobiology in 1973. After receiving a master’s degree in business administration from the Wharton School at the University of Pennsylvania, Stearns began a career in marketing for several Fortune 500 companies, beginning with the Gillette Company. From 1977 to 1985, Stearns held various roles with Parker Brothers Games, culminating in his appointment as president in 1984. He joined Lenox, the American gift and tableware company, in 1987 as division president. He was named president and CEO of Lenox Inc., in 1995, overseeing six manufacturing facilities, 4,000 employees, and $500 million in annual sales. Stearns authored The Hole In Our Gospel, which was named Christian Book of the Year for 2010, and Unfinished, in 2013. Stearns has traveled to more than 40 of the nearly 100 countries where World Vision works. He and his wife, Reneé, have been World Vision donors since 1984. A lawyer by training, Mrs. Stearns also travels and speaks on behalf of World Vision. The couple has five children. 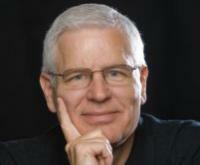 07/14/2013 Outreach Magazine: Rich Stearns: Are we radical enough?